From a single measurement to comprehensive recommendations on increasing your energy efficiency. We select and install the meters, then gather all the data under one system, analyse and visualise it to deliver a prognosis and further recommendations. 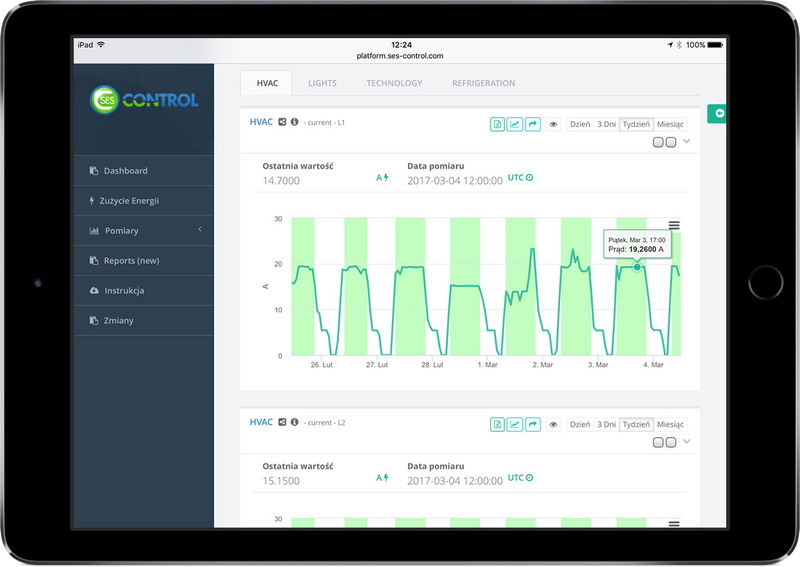 We have created SES Control to support our Energy service. It enables accurate measurements, instant access to data and detailed analysis. We have additionally designed our own technology including the micro-server, the web-based application and the analytical module. It gives us all the necessary tools to support our customers with optimising their operations, lowering costs and going green. SES Control can also be integrated with other external systems.